Attention digital peeping toms. Valve has rolled out their newest program called Steam Broadcasting. 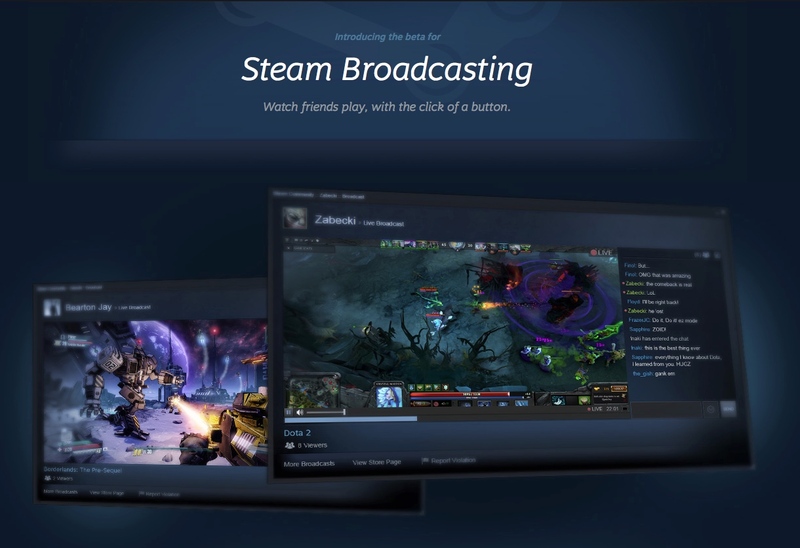 As the name implies, it enables players to stream their Steam gaming session online for others to watch. Unlike the PS4’s streaming mechanic, Steam Broadcasting is always on. So long as the player is connected online, their gaming session is automatically available for others to watch. Players will be able to control who can watch their gaming session. They can let anybody watch, only people on their friends list, or they can set it so that friends can request permission to watch if they’re feeling selective. It can also be set to invite only. Steam Broadcasting is currently in beta. Steam users who want to stream or watch streams will have to opt into the program. For more detailed instructions, check out their webpage.